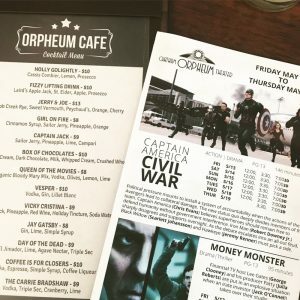 The Chatham Orpheum Movie Theater is a beautifully renovated 2-screen theater with 3-D capability that has a cozy small town charm. 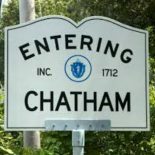 It opened in 1916 as Chatham’s first and only movie house.The Chatham Orpheum Theater was a magical place for 72 years – a year-round destination where generations of Chatham families and summer visitors could enjoy films. In 1938, the building was purchased by Interstate Theaters Corporation and was known as the Chatham Theater until 1987, when it ceased operations. Now it’s back, better than ever! 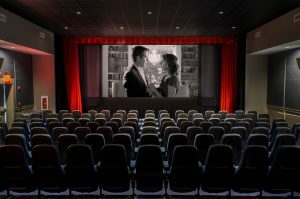 The Chatham Orpheum Theater opened to the public as a non-profit cinema on July 26, 2013 … bringing movies back to Main Street in the most state-of-the-art Movie Theater on Cape Cod. Every facet of this jewel box movie house and cultural center is unique, affordable, and community driven. The Orpheum offers creative alternative programming for children, elders, and families. 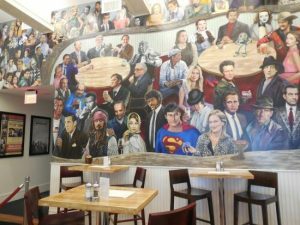 The Orpheum’s interior is tastefully designed in traditional Cape Cod style, and the vaulted lobby showcases great works of created by notable local artists, including Hans de Castellane’s signature mural, The After Party. 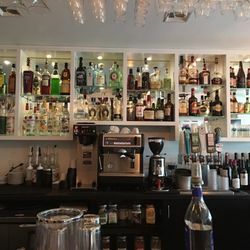 There is a small café style seating area where you can enjoy a coffee beer or wine. There is also the usual fare of sodas, popcorn with real butter and unique treats created by local Chatham confectioners. The concession stand doubles as the box office. The food is PUB style and very good and you can even take your meal and drinks into the theater. The two theaters are small but with good sound systems and acoustics. It is clean and the seats are pretty comfortable and recline. Thinking of booking a vacation? We invite you to check out our Cape Cod properties for your perfect stay. Unwind, and enjoy the outdoors at our Sand Dollar House that sleeps 8. 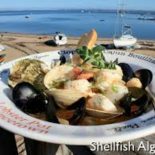 Walk half a mile to both Sea Street Beach, with scenic harbor views, lifeguards & a snack bar in the summer, and Main Street Hyannis, an interesting and eclectic all-American Main Street with specialty shops, restaurants and fun attractions. Hyannis is the largest town on Cape Cod and home to the “other” Kennedy family. The Whale House that sleeps 10 in the picturesque seaside village of Chatham, which is the quintessential Cape Cod Experience. 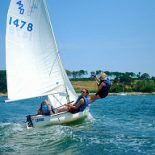 Located halfway between Falmouth and Provincetown, right at the elbow of Cape Cod and surrounded on three sides by water. 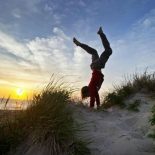 The town offers magnificent beaches, the lighthouse, wildlife, nature trails, bike path, and stunning views of the ocean. The Chatham Orpheum Movie Theater is a classic with a modern twist!